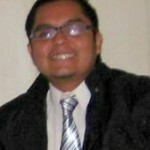 Jose was a Biomedical Engineering PhD Student at Brown University. He worked in providing methods to allow the BrainGate system to be used as an input for any platform (multiple computer OS’s, laptops, tablets, smartphones). Jose received his B.S. in Mechatronic Engineering from National University of Engineering (UNI) in Lima-Peru in 2011. He did an internship at Northwestern University in the lab of Dr. Lee Miller in 2012, where he investigated real-time decoder’s performance of 2 different Brain-Computer Interfaces in non-human primates. Copyright© 2000–2019 BrainGate. All rights reserved.